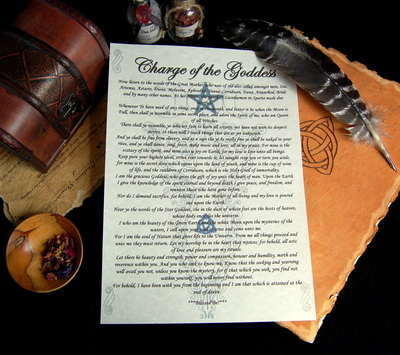 The Charge of the Goddess is a wonderful prose written by Doreen Valiente a student of Gerald Gardner. This A4 poster has been printed on high quality paper and has been Designed by Moon Goddess Garden from our own Book of Shadows. It has a beautiful Goddess and Triple Moon design as a background taken from an Original drawing and will be a beautiful addition to your Wiccan items and your own Book of Shadows.